Tidy your pantry, linen, bathroom, or laundry closet with the John Louis Home 12-In.-Deep Premier 4-Drawer Closet Organizer. Designed for reach-in or walk-in closets, this organizer maximizes storage space by adding up to 22 feet of ventilated shelf space, 14 feet of hanging space on metal garment bars, and four 8-inch-deep drawers. Each drawer features a felt-lined bottom and ball-bearing, full-extension glides for a soft close. 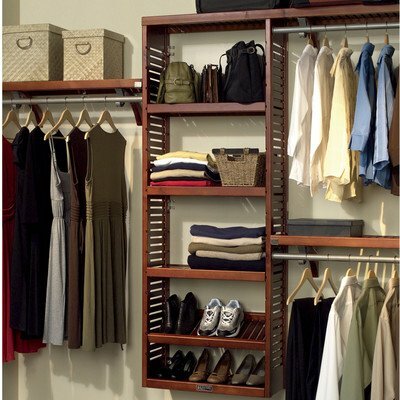 This handsome closet organizer is made from solid pine wood in your choice of available finish. Additional Specifications Shelf-depth: 12 in. Satin nickel drawer handles 6-ft. accessory tower included Configuration options Dimensions: 120W x 12D x 96H in.. Made of 100% solid pine wood. Select from available finish options. Four 8-in. drawers with soft-close glides. Adds up to 22 ft. of shelf space. Fits closet wall up to 10 ft. wide. Add more shelves to your 6-foot adjustable shelf tower and voila - you have more capacity and functionality. This kit features two shelves that slide into the matching tower. Made of wood in either a honey maple or red mahogany finish, the kit is ventilated for good airflow. Order this kit and get over five square feet of shelf space. John Louis Home component. 16 inch depth for John Louis Home closet tower. 2 finish options. Adds over 5 square feet of shelf space. Contains 2 - 24 inch shelves. JLH-526 Finish: Red Mahogany Features: -Metal garment bars. -Provides maximum versatility and function. -ISTA 3A Certified. Product Type: -Closet System. Mount Type: -Wall Mounted/Built-In. Primary Material: -Wood. Rod Included: -Yes. 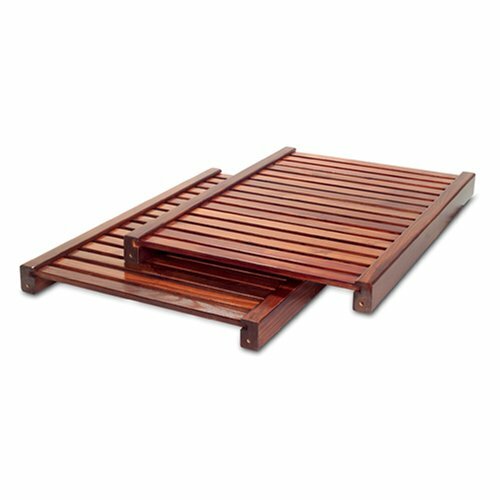 Dimensions: -Maximum width: 10" W. -Minimum width: 8" W. Overall Height - Top to Bottom: -72". Overall Width - Side to Side: -120". Overall Depth - Front to Back: -16". Overall Product Weight: -85 lbs. Assembly: Assembly Required: -Yes. JLH-742 Features: -Full extension ball bearing glides. -Ten holder arms for ties or belts. -ISTA 3A Certified. -Satin nickel finish. Product Type: -Hardware. Finish: -Satin nickel. Mount Type: -Wall Mounted/Built-In. Primary Material: -Metal. Dimensions: Overall Height - Top to Bottom: -2.5". Overall Width - Side to Side: -5". Overall Depth - Front to Back: -16". Overall Product Weight: -4 lbs. Assembly: Assembly Required: -Yes. JLH-531 Finish: Red Mahogany Features: -Made of 100% solid wood. -Ventilated for air flow. -Wall mounted at any height. -Shelves require mounting support on both ends. -All hardware included. -Design can be reversed. Product Type: -Closet System. Mount Type: -Wall Mounted/Built-In. Primary Material: -Wood. Rod Included: -Yes. Dimensions: -Can be cut to fit a 6', 8' or 10' wide closet. -Minimum wall height: 55". Overall Height - Top to Bottom: -96". Overall Width - Side to Side: -96". Overall Depth - Front to Back: -12". Overall Product Weight: -57 lbs. Assembly: Assembly Required: -Yes. Add more shelves to your 6 ft. adjustable shelf tower and increase your storage capacity and functionality. Place anywhere within the tower to fit your storage requirements or flip upside down and angle to create a shoe shelf. 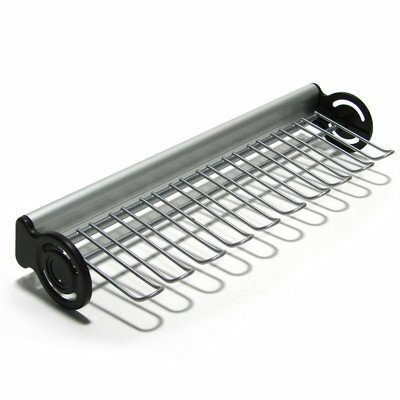 The inverted shelf rail keeps shoes in place and the angle allows for easy viewing and access. Shelves are ventilated to provide air flow. 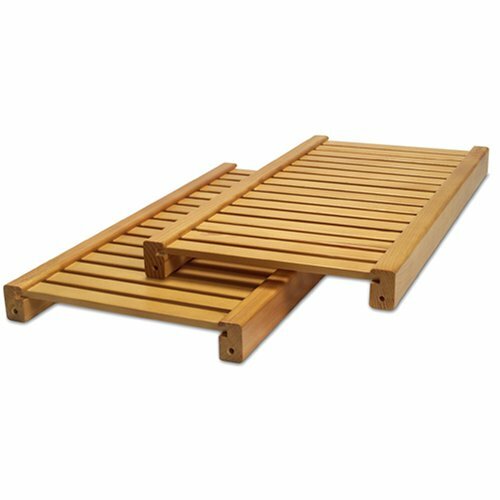 Includes 2 adjustable shelves and available in either Honey Maple or Red Mahogany finish. 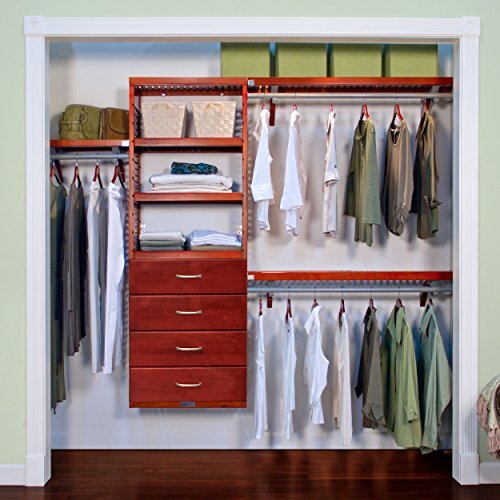 Create your own functional & attractive closet with the Woodcrest closet organizer. 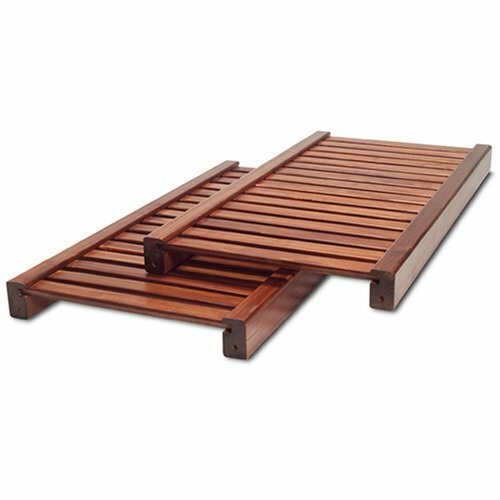 Crafted of 100Percent solid wood, this closet organizer includes adjustable shelves, drawers, a 4ft. Accessory Tower with raised panel sides & offers multiple configuration options. Up to 20ft. Of shelf space & up to 12ft. Of hang space. JLH-570 Finish: Honey Maple Features: -Adjustable shelf set includes two shelves and eight metal shelf pins. -Six foot deep tower. -Invert and angle for shoes. Product Type: -Shelving. Primary Material: -Wood. Mount Type: -Wall Mounted/Built-In. Dimensions: Overall Height - Top to Bottom: -1.75". Overall Width - Side to Side: -24". Overall Depth - Front to Back: -12". Overall Product Weight: -8 lbs. Assembly: Assembly Required: -Yes. 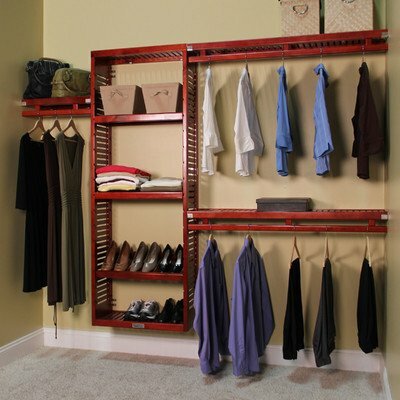 When you require large item stage the Deluxe Closet Organizer combined with 6 and 10 in. deep drawers is the answer. The multiple drawer depths provide the perfect storage for small and large items while adding distinction to your space. 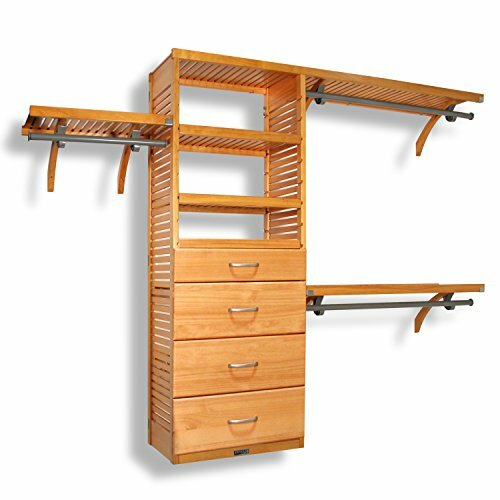 Designed for large reach-in & walk-in closets. Equipped with free hanger slide and a 6ft. adjustable shelf & accessory tower. Provides up to 22ft. of shelf space & up to 16ft. of hang space.